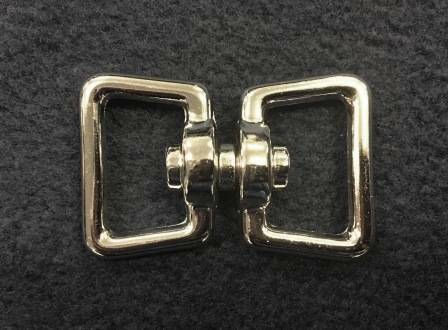 Square, double eye swivel rings. Fits 3/4" webbing/strapping. Nickel plated.